Yes this Hannibal recap is coming to you very late. I was out of town and then WordPress was acting up so there was a delay. That creeper detective did indeed show up in the nick of time to capture Hannibal and took Will Graham along too. He left behind two goons to kill Jack Crawford and make it look like Hannibal did it. But Chiyoh was across the street with her trusty sniper rifle and saved Jack so she could find out where the men are taking Hannibal and Will. Mason Verger plans to take Will’s face and wear it while he eats Hannibal. Alana Bloom is not okay with this. Her plan was to save Will from himself but that has backfired pretty good. Meanwhile Mason reveals to his sister Margot that he knows about her relationship with Alana. Then he drops that he saved some of her eggs and has a surrogate carrying a Verger baby somewhere on the estate, this pretty much turned out to be exactly what I thought it would be but more on that later. 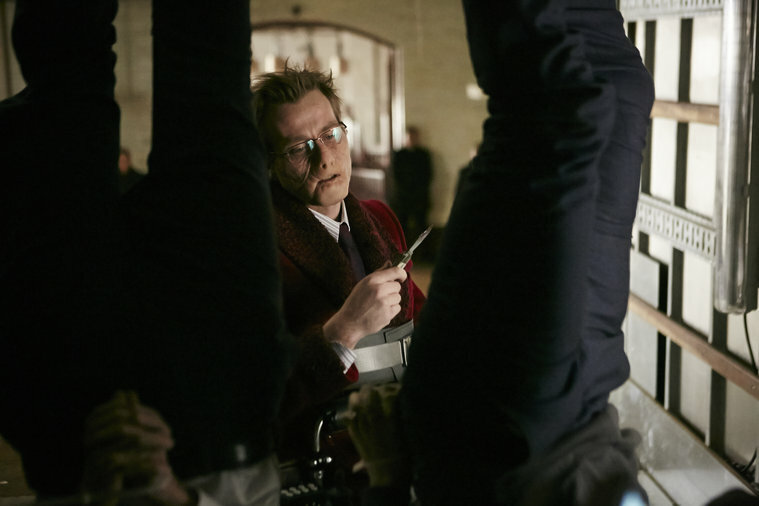 I want to take a moment to talk about Mason Verger’s caretaker/henchman Cordell. Where the hell did Mason find this guy? He is both a qualified medical professional it seems and also a master chef. Cordell is a lot like Hannibal and yet at the same time nothing like him. He even promises that he will cook Hannibal to perfection before serving him to Mason. And at one point during the episode Will bites a chunk of Cordell’s cheek out and he seems pretty calm about it afterwards when he sows the chunk back in and then prepares to cut off Will’s face. Anyway Alana and Margot make a deal to set Hannibal free so he can rescue Will and they can kill Mason and blame it on Hannibal. So Cordell gets his face cut off instead and Mason wakes up wearing a face but not the one he expected. Also Alana and Margot find the surrogate and sure enough it turns out to be a pig. And in another blow it turns out that the baby is stillborn. But before Mason woke up they milked him for sperm and then proceed to shove him into the water tank with his pet eel in it. For some reason the eel decides to swim into Mason’s mouth. I know this is what happened in the third Hannibal book and thus true to the lore but I was not expecting the show to play around with the timeline like this. Unless the show pulls another “this character actually survived” twist on us. 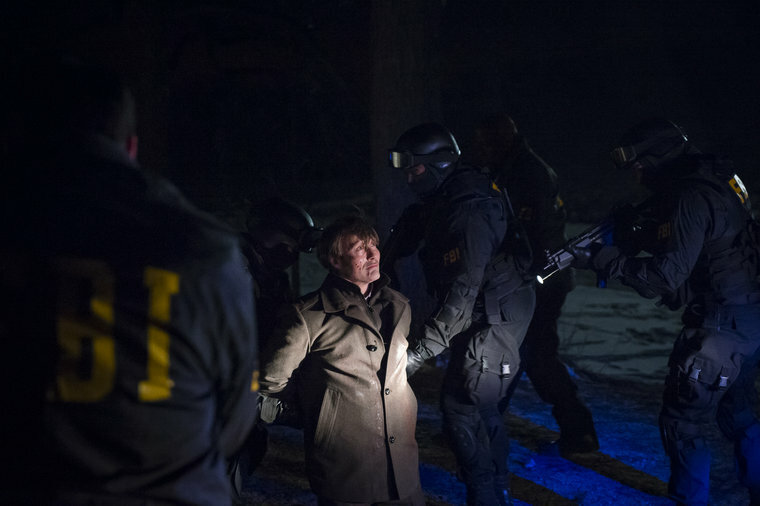 Hannibal carries Will away and Chiyoh is waiting to shoot any of Mason’s surviving henchman in pursuit. While Will is recovering Hannibal and Chiyoh reconnect and he admits that he ate his sister Misha but then says that he did not kill her. Will wakes up in his old house but all of his dogs are gone and then he basically breaks up with Hannibal. Instead of running Hannibal waits for Jack Crawford to show up and surrenders. I found this scene kind of anticlimactic. Will was hardly in this episode so we get no real sense of why he has this change of heart about his friendship with Hannibal. It probably could have been the attempted brain eating that turned him but still the scene feels kind of forced. Hannibal’s surrender is a little more understandable. Will is finally ready to let go of Hannibal but Hannibal is not ready to let go of Will so the only way to stay in his life is to surrender and be confined where Will can find him. And finally Chiyoh has achieved her goal, Hannibal is alive but now he will know what it feels like to be a prisoner. She walks away into the winter night like the mysterious badass she is. I still have another episode to catch up on before the new one this Saturday so that will be coming at you very soon.